The rise of sustainable energy puts the profitability of both the coal and gas industry in Europe, the US, and Australia under growing pressure. Oil and coal companies are refocusing on emerging markets, just like the tobacco industry did. Both Peabody Energy Inc. (one of the largest US coal companies) and ExxonMobil recently declared that fossil fuels are necessary to provide affordable energy to the poor.The problem for oil, gas, and coal companies is that market developments aren’t helping. A recent study by Kepler Chevreux shows that fossil fuel companies are about to loose massive amounts of money, even under the business as usual scenario—that is if there are no climate change policies in place—as estimated by the International Energy Agency (IEA). The paradox cited in the study by Kepler Chevreux is that those losses increase with higher market prices for fossil fuels, meaning higher oil prices will trigger bigger losses.The reason for that paradox is the falling prices of renewable energy. They have fallen so drastically to let the geenie out of the bottle. In growing parts of the world, electricity from solar and wind, combined with micro-grids if wanted, is becoming cheaper than electricity from traditional utilities powered by large scale coal, gas, or oil power plants with a huge grid network. Fossil fuel companies and traditional utilities are faced with an additional challenge: while the cost of wind, solar, and energy storage continues to fall, the cost of coal, oil and gas continues to rise. The latter is due to a combination of an increasing amount of environmental and health regulations being enacted by governments worldwide as well as the depletion of easily recoverable oil, gas, and coal reserves. Those problems are not unique to companies in countries that are actively engaged in sustainable energy, like Germany. Similar problems also arise in Australia, a country whose current government has little affinity with climate change or sustainable energy; problems with Australia’s extended grids are becoming so big that one of their utilities recently set a California-style energy storage target for 2020. At the true bottom of the energy market in Africa, South-America and Asia, large areas are not yet connected to the grid. With the falling cost of sustainable energy and energy storage, it is becoming less likely that those areas will ever be connected to a traditional grid with large central power stations. It is more likely that those areas will leap-frog the central grid by implementing off-grid solutions and micro-grids. In The Netherlands, such solutions are mainly known because of WakaWaka, a Dutch company that raised over €300,000 through crowdfunding on Symbid and OnePlanetCrowd in 2012 and 2013. 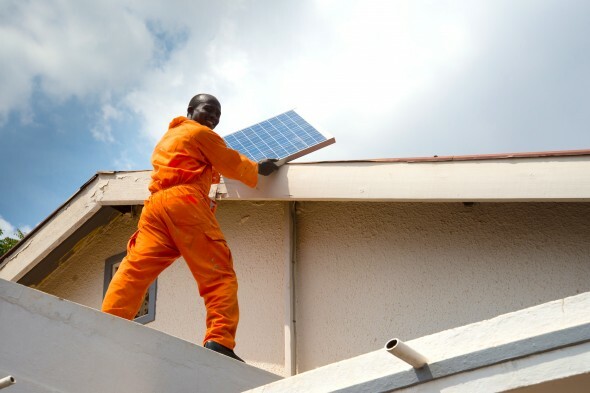 In the US, all things are handled a slice bigger and off-grid solutions company D.Light recently raised $11 million in series C funding to finance its further growth. The US also has a dedicated solar investment platform for off-grid solar called SunFunder. Since starting 2 years ago, SunFunder has raised over $600,000 for 21 projects through crowdfunding as well as private investments from accredited and institutional investors. In my opinion, SunFunder is interesting for three reasons. First, they look further than solar lights and phone chargers. They also look at larger scale solar such as solar home systems and micro-grids. Their current project Switch On Ntungamo in Uganda is a good example. Second, they leverage crowdfunding to make off-grid solar projects more attractive for larger private investors. They are going ahead with this two-tiered approach with the ultimate goal of proving that off-grid solar is bankable. To date the repayment rate of SunFunder’s projects is 100%. 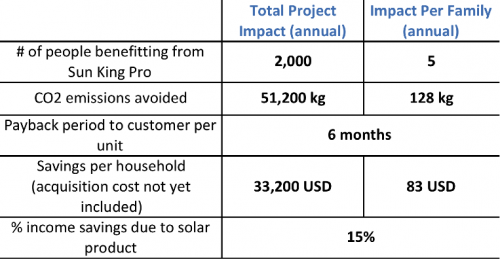 Third, an important reason that makes SunFunder interesting is that they show how much a family can save by switching from fossil fuels to solar energy (example above). Traditionally many families in Africa and India use kerosene lighting, which is bad for their health because its toxic fumes make for poor indoor air quality and it is dangerous (it can easily be accidentally knocked over or spilled, causing fire). 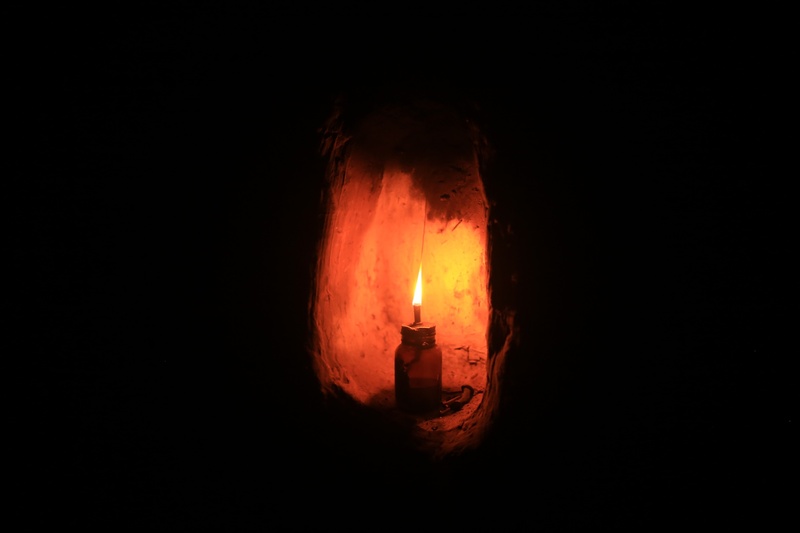 Kerosene lamps also cost money every month because it needs to be refueled, while a solar light only costs money at the time of buying and does not cost money to refuel because sunshine is free. The time it takes for solar lights to repay for itself is very short, often less than a year. Meanwhile, the savings from solar lights can add up to 15% of a family’s annual household income and are continuously earned for the lifespan of the product, ranging from 5-10 years depending on the battery. This provides an additional problem for the fossil fuel industry, as Africa is often a market for low-quality products. High quality kerosene, for example, is sold to major airlines, while low quality kerosene is sold to Africa for lighting. Thus, each quality solar light that is sold in Africa eats into the market of oil companies and each micro-grid installation takes away potential markets for traditional, coal powered grids. So I do wonder if the current “fossil fuels are necessary” strategy of oil and coal companies for the bottom of the pyramid will work. This article was published in Dutch on Sargasso and reproduced with the author’s permission. His article has been translated to English with the help of SunFunder staff. Disclosure: I’ve participated in WakaWaka’s crowdfunding campaign and I’m an active crow investor on sunfunder.com.